Do come and join us on Friday, 13th March for our Make & Take Craft Group. 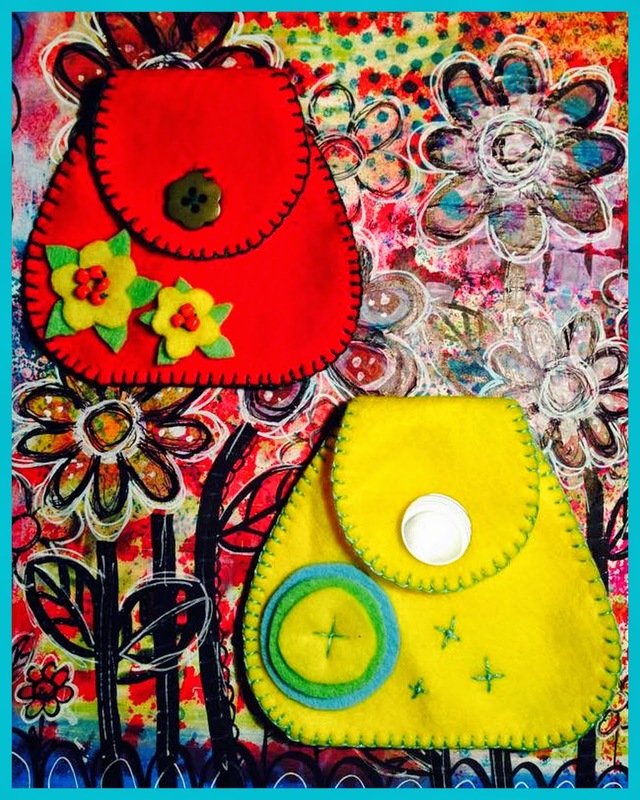 We'll be sewing with felt and embroidery thread...this time we are making cute coin purses. You can keep it for yourself or give it as a gift...it would make a wonderful Mother's Day present or pop some chocolate coins in as an alternative to an Easter Egg. For just £5, all crafting materials and expert tuition is provided and each time is something different that you can make and take home. Don't forget to bring along something to Show and Tell...this can be something you've made, a new crafty magazine or book or a craft shop or exhibition you've enjoyed. There is free on site parking and disabled access.